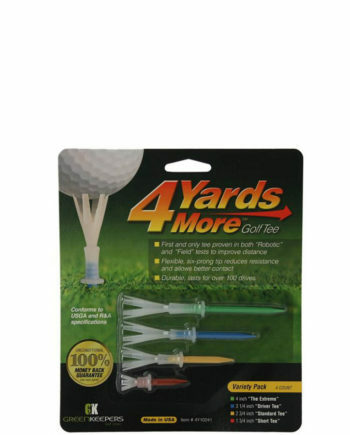 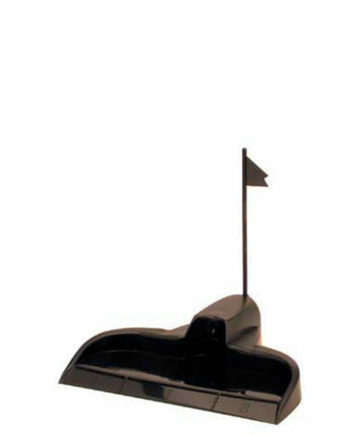 Frogger’s Golf Cart Poncho is light weight, compact and sets up in seconds and packs away in just the same time. 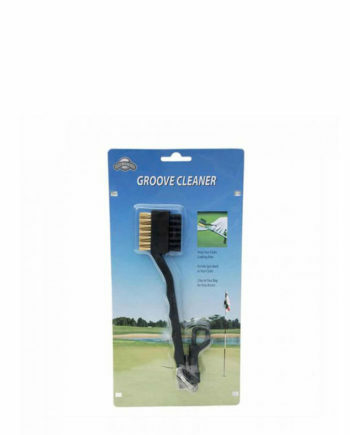 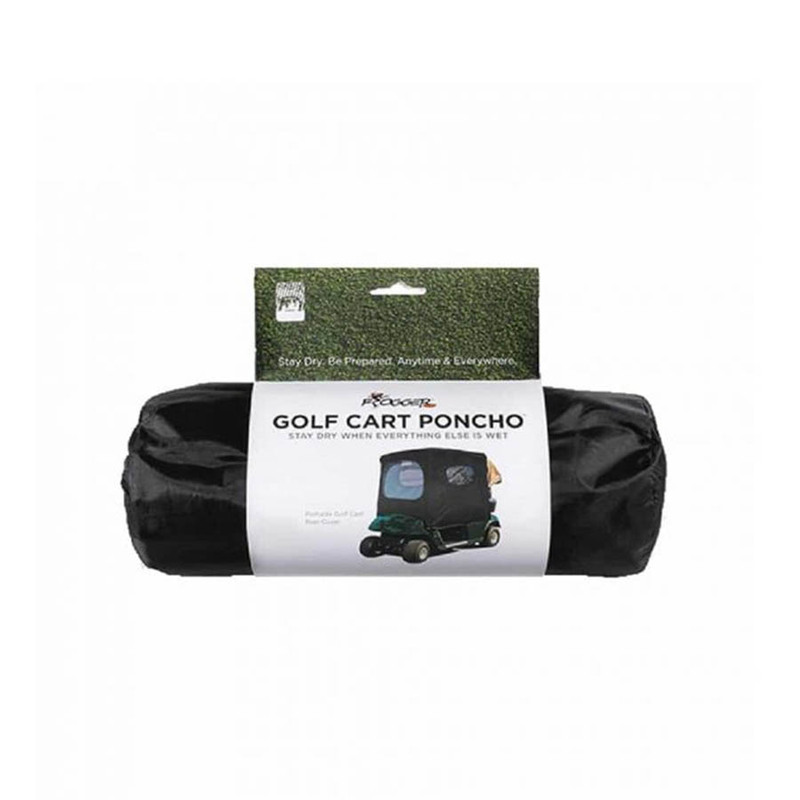 When raining, the ultra dash convenient Golf Cart Poncho keeps golfers dry in their cart and conveniently stores in any golf bag pocket. 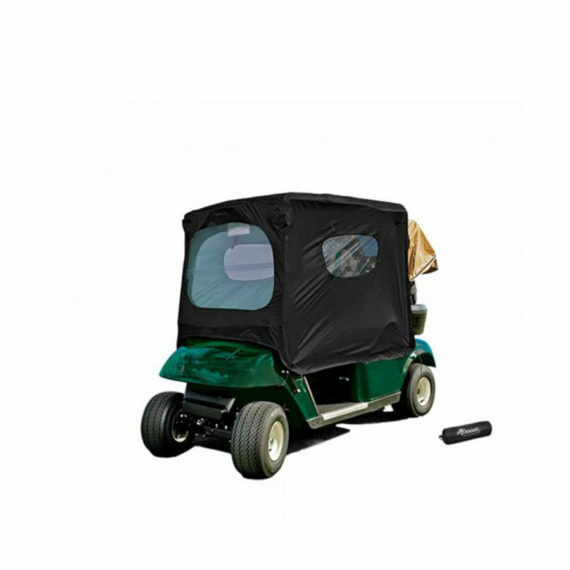 In intermittent rain conditions, the Golf Cart Poncho features roll up velcro side doors for easy access.